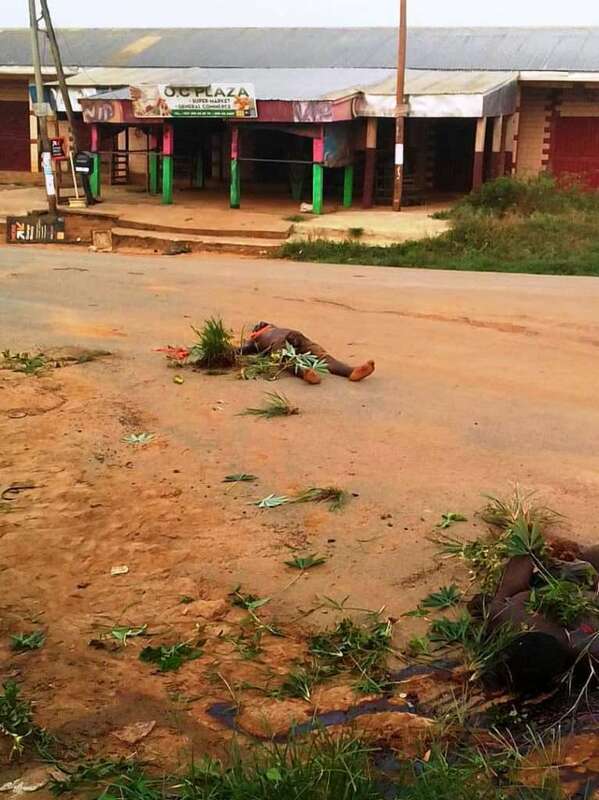 Reports from the Kumba, a town in the South West Region of Cameroon holds that abandoned corpses of people suspected to have been killed by the military’s campaign against separatist fighters have put the population in distress. Recently, corpses riddled with bullet wounds have been spotted at different corners of the city. The National Times reports that the most recent is the discovery of the remains of three youngsters on the main road at the Kumba II council Business Center in Kosala, Kumba early Tuesday February 12. The dead bodies of the individuals lay on the road with blood oozing out of their heads while grass is spotted covering certain body parts. Unconfirmed reports indicate that, these are persons suspected to be separatist fighters. The foul odor emanating from the decaying corpses have forced the population to abandon the main stretch of road. Reports say these corpses have however been cleared from the road though this reporter cannot independently verify. The destination of the corpses is still unknown. Some skeptics have however raised concerns that, those killed are not separatist fighters but a mixture of mad men and former convicts who dared to move around in a deserted city under a separatists-imposed lockdown, National Times reports. Last weekend, there was the discovery of the corpse of a youngster in the Mile I neighborhood of Kumba I Sub Division. He too is said to have been gun down after a suspected battle between separatists and security forces. The town of Kumba in recent times has witnessed an upsurge in violence and confrontations between separatist and government forces. 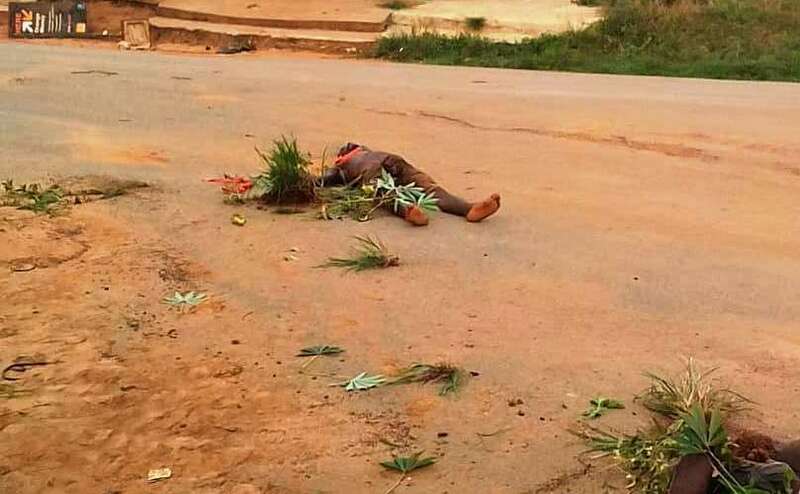 The last time Kumba witnessed such scenes was back in 2018 during the country’s presidential election that saw incumbent President Biya winning another seven year mandate. This incident comes on the heels of a ten day lockdown in the two English speaking regions. Business premises, markets, transportation in and out of the regions have been on hold since February 5, 2019. According to the leaders in the Diaspora, the lockdown is to frustrate the activities of La Republic which they term “occupying forces” as the lockdown will encompass certain important days. 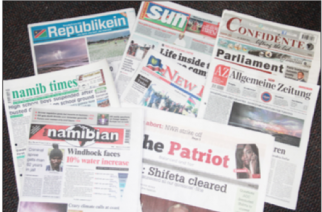 Many however have been vocal about the said lockdown as it only causes misery to the population who has been going through a lot for the past two years. They also hold that the lockdown will instead cause more atrocities to be committed which seems to be the case in recent times. It is still unclear as to who is being this recent killing in the town of Kumba. The separatists are blaming government forces while those close to the security forces say the attacks were carried out by separatist forces. Security forces are noted for unnecessary killing of civilians indicating that they are “Amba” forces while the separatists themselves are reported to also kill civilians under the pretext that they are “black legs” to the struggle or report their activities to government forces.